The eSports betting giant UltraPlay will present its latest developments and innovative concepts followed by the increased interest and demand of the exciting eSports betting vertical at booth #908 during the upcoming G2E Asia, May 15-17, at the Venetian Macao. 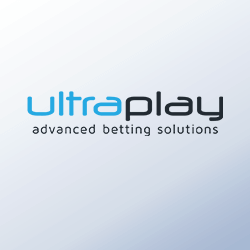 Continuing its strong positioning on the Asian marketplace, UltraPlay is fully prepared to present the recently enhanced eSports live betting model – a focal point of the company’s participation at this year’s gaming show. 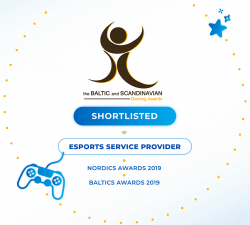 The whole eSports betting suite will take all interested in this specific and dynamic gaming vertical to a journey that offers intuitive players experience and diversity of the gaming options a betting brand can provide to the tech-savvy punters worldwide. The new model is already available through the company’s match-predicting system Odds.gg, which serves to hundreds of leading iGaming operators across the globe entering or expanding their eSports betting coverage. Building off what UltraPlay has already achieved on the eSports betting scene, Odds.gg is constantly upgraded to new levels by offering the widest eSports coverage including 25 game titles of the most popular eSports, 3000+ eSports events a month and more than 1500 in-play events. UltraPlay has expanded its odds feed with Heroes of the Storm Live, King of Glory, GWENT and many others. UltraPlay’s team will answer why eSports betting holds great potential, and how the iGaming brands can benefit from it.